Center Pat Elflein’s debut is put on hold for at least another week after he was ruled out Friday for the Vikings’ game in Green Bay on Sunday. 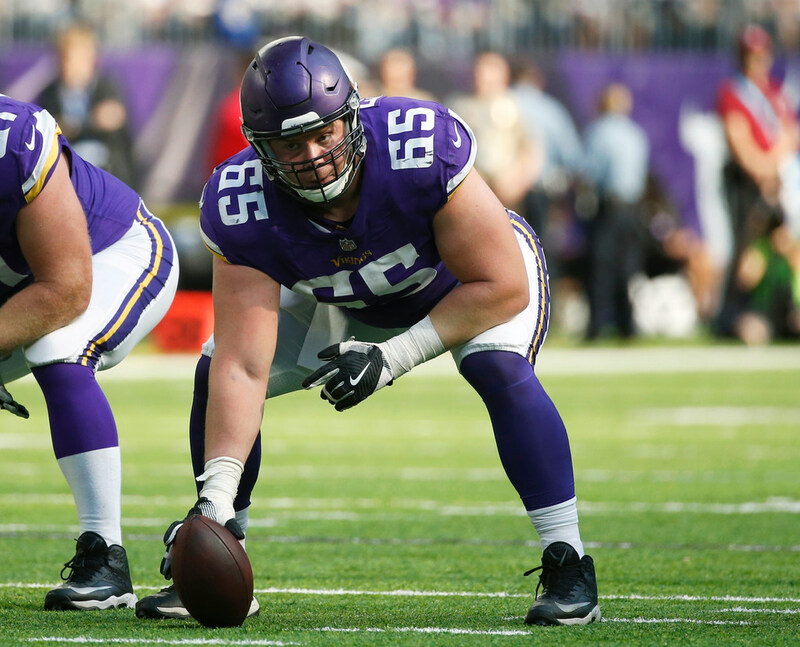 Brett Jones, who started in Elflein’s place vs. San Francisco, is again expected to get the start at center against the Packers. Elflein was limited in practice for a second straight week. He is still listed with both ankle and shoulder injuries. He declined an interview request on Friday, a day after head coach Mike Zimmer would not commit to which position Elflein would play upon his return to the lineup. The Vikings are otherwise healthy with the other 52 players expected to be available against the Packers. That means cornerback Mackensie Alexander will make his season debut after an Aug. 18 ankle injury had kept him sidelined for a few weeks. Defensive end Everson Griffen (toe) was bumped up to a full participant on Friday after he popped up on the injury report on Thursday during a limited practice. Cornerback Trae Waynes (knee) was also a full participant on Friday after he injured his right knee during his 24th play against the 49ers. For the Packers: QB Aaron Rodgers (knee), WR Davante Adams (shoulder) and LB Oren Burks (shoulder) are questionable to play. S Josh Jones (ankle) has been ruled out.